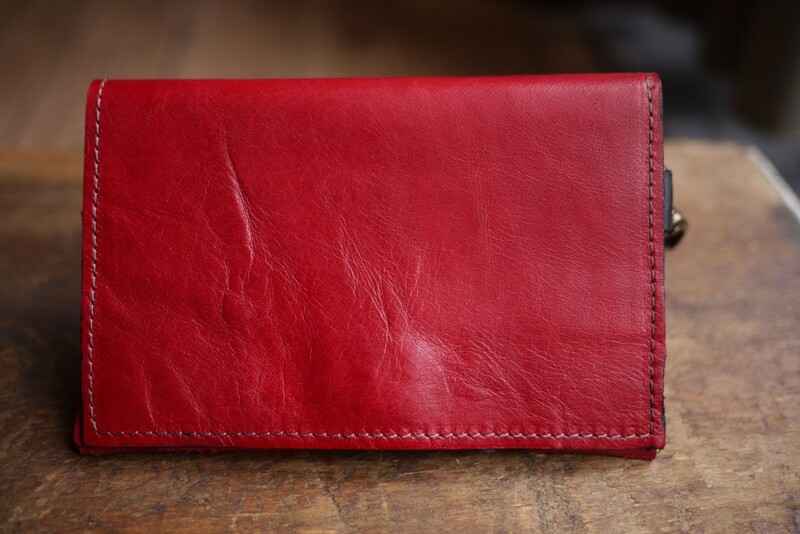 All of my handmade leather wallets are crafted with high quality repurposed leathers and designed with maximum functionality, elegance and durability. 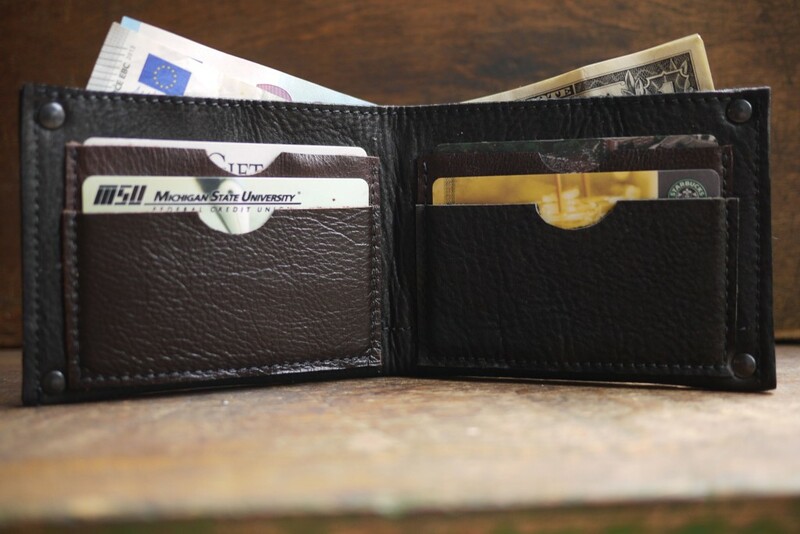 These leather bi-fold wallets are ideal for anyone looking for a classic wallet with an eco twist. 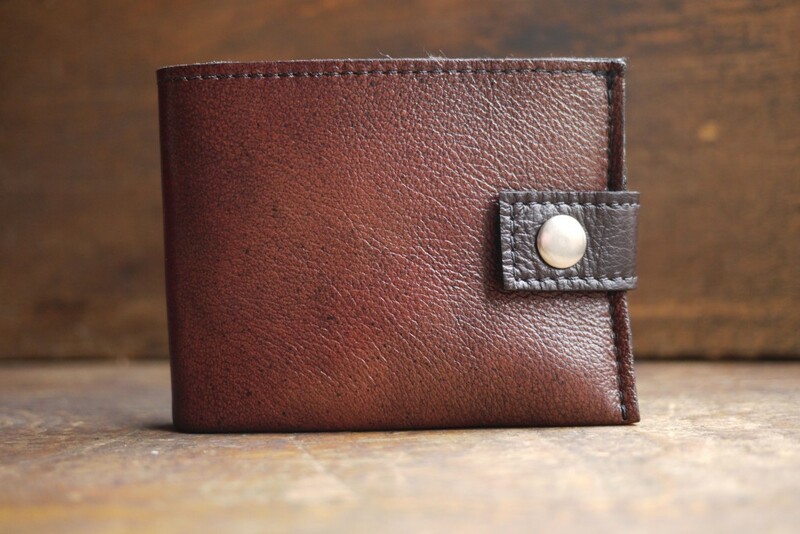 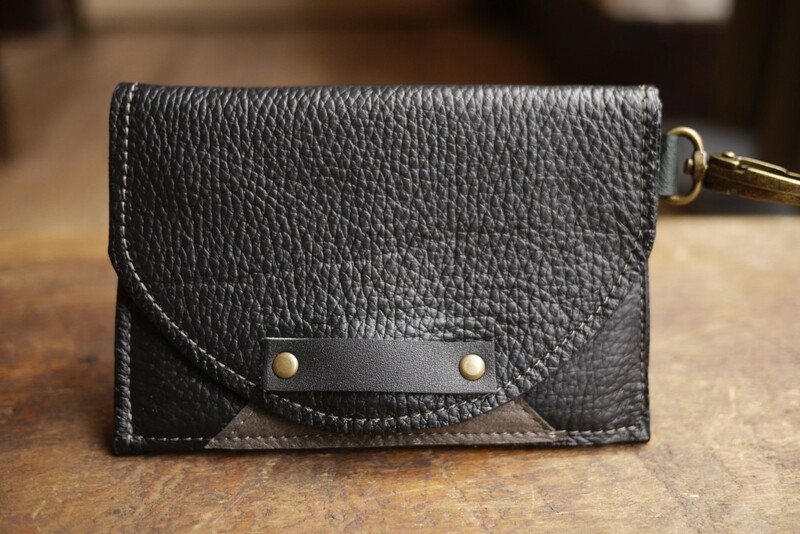 The wallets have front credit card slots fitting plenty of cards, and a roomy back pocket fitting euros, dollars, pounds and many other currencies. 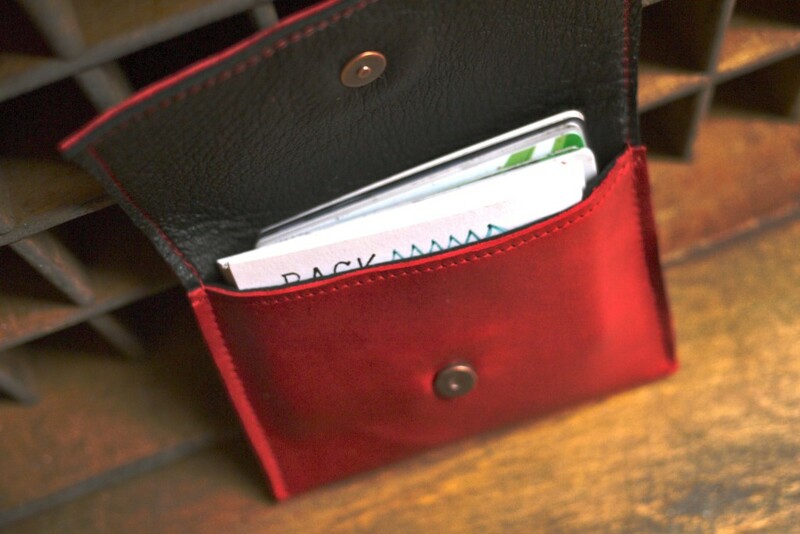 Their sleek design fits comfortably in a wide variety of pockets. 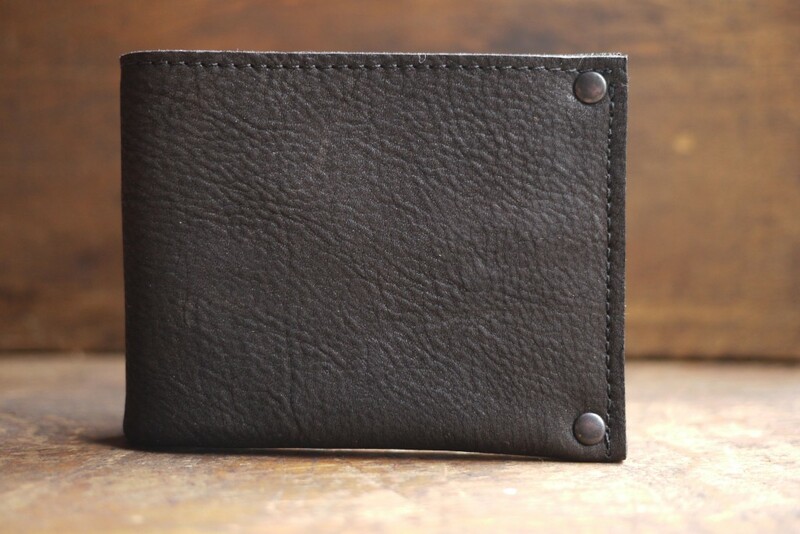 The leathers used are from high quality repurposed leather jackets and are strong yet supple, so they mold to your body. 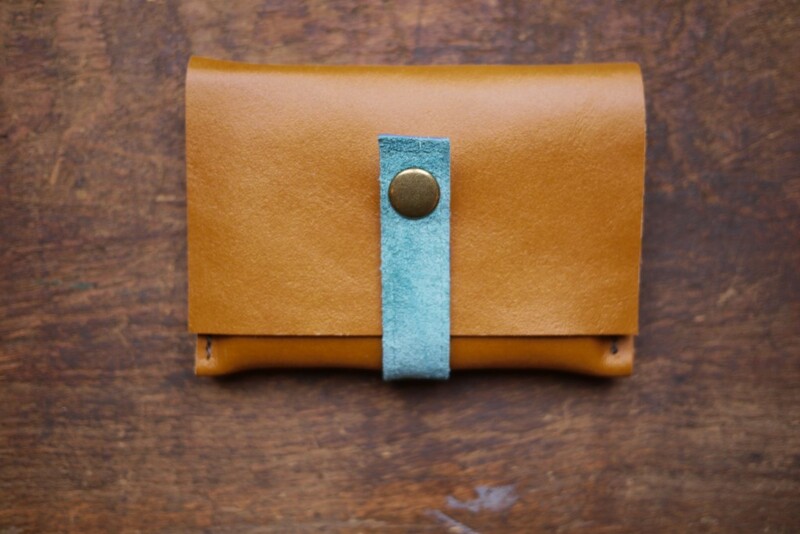 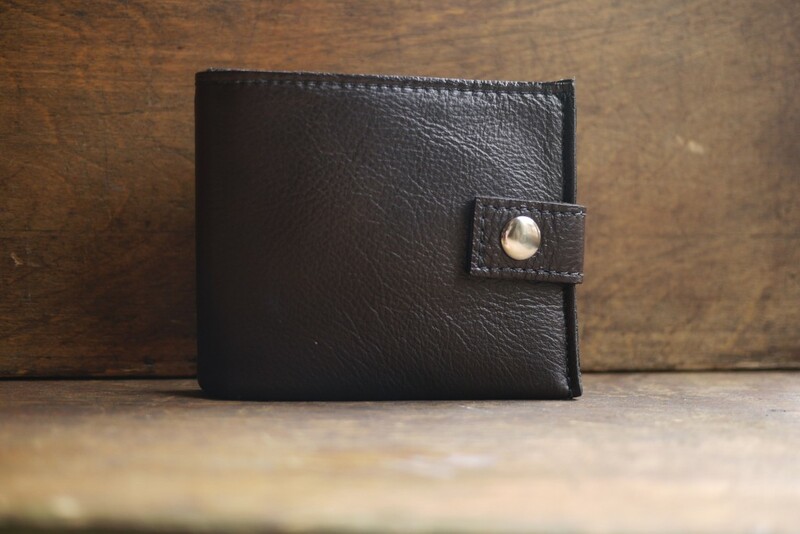 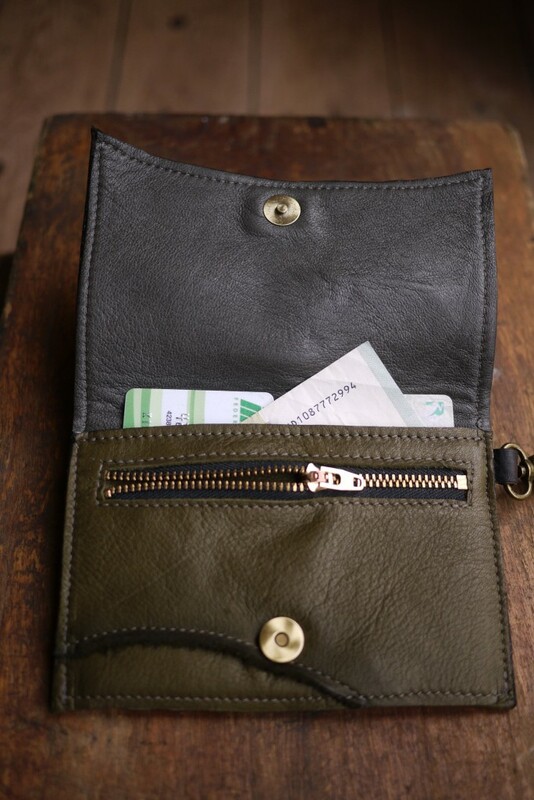 These leather wallets are perfect for anyone searching for a sleek hand-crafted carryall for money, cards and coins. 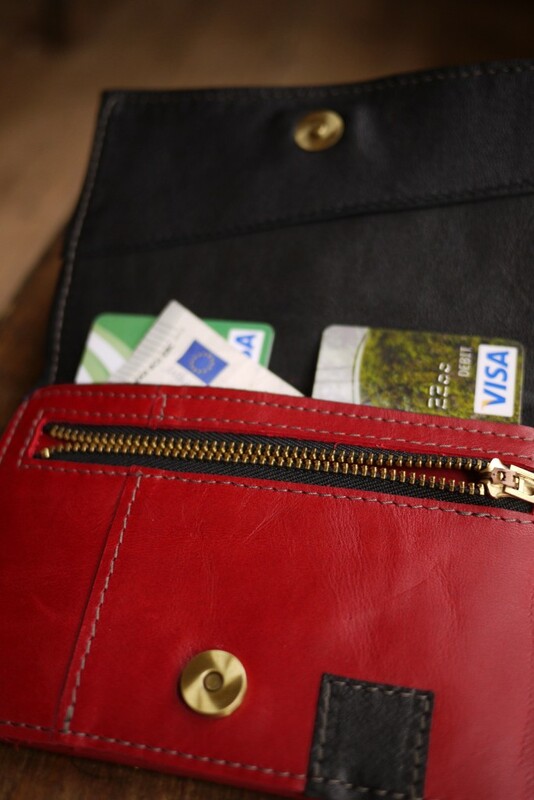 The wallets have interior credit card pockets, fit euros and dollars, and have a zipper coin pocket on the inside. 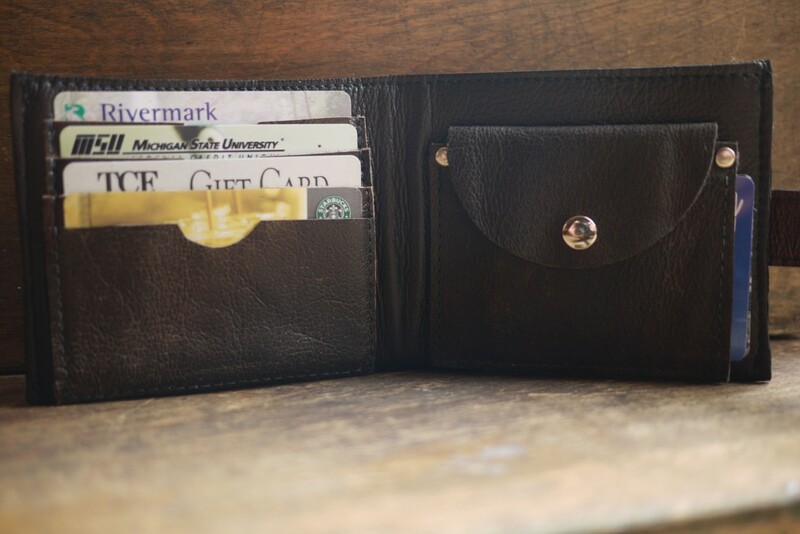 Each wallet closes with a magnetic snap and has a small clip for key chains or carabiners. 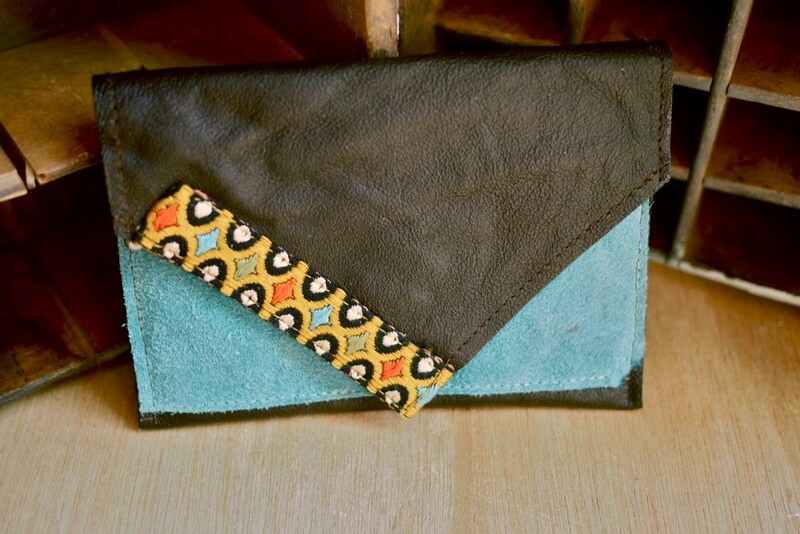 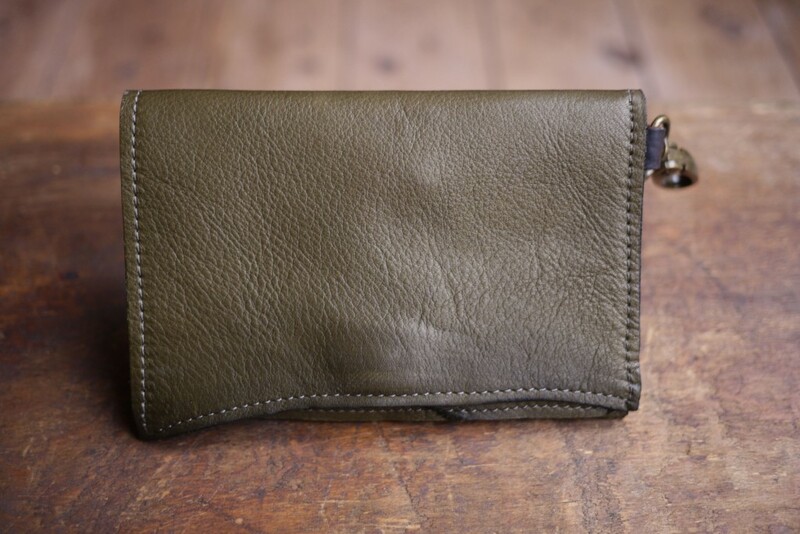 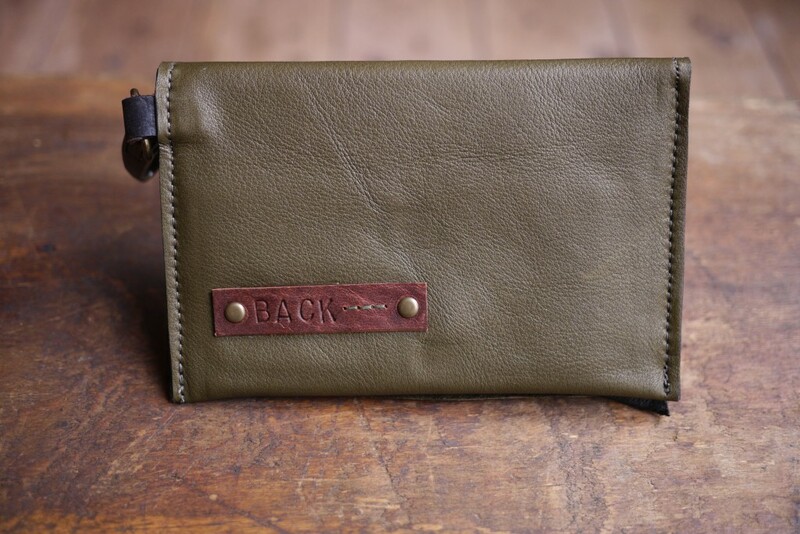 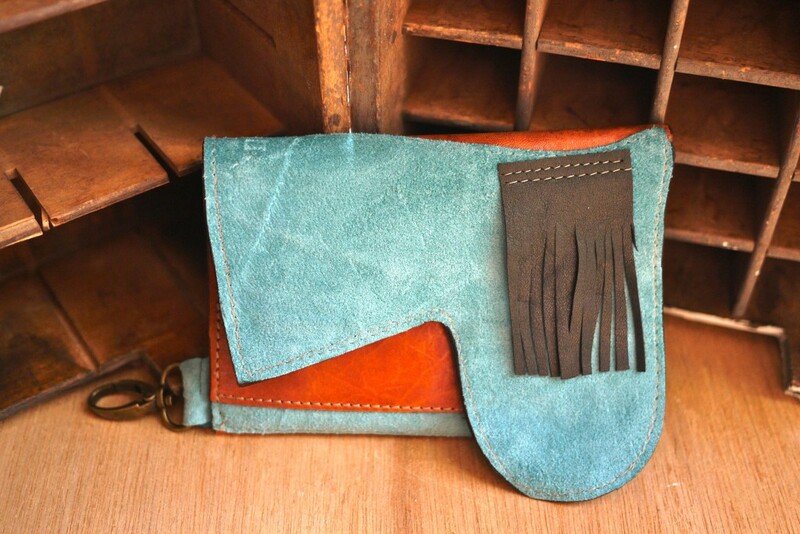 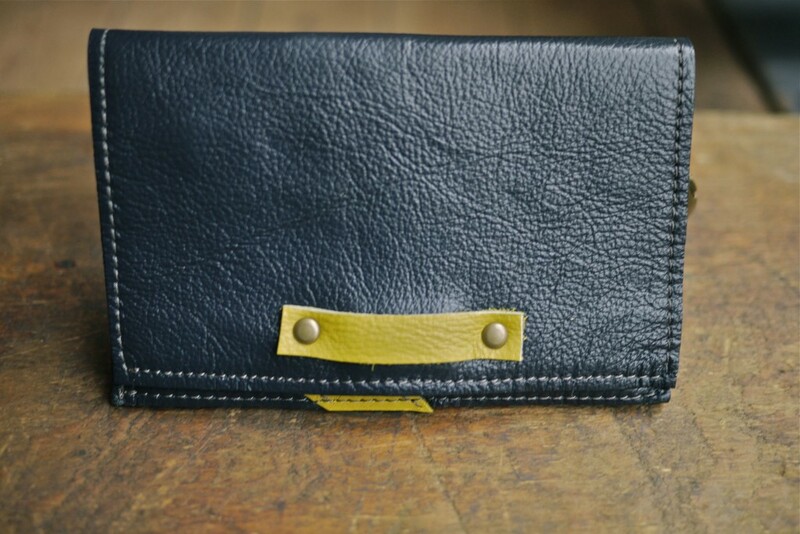 All large wallets are handmade with a mix of recycled leathers.